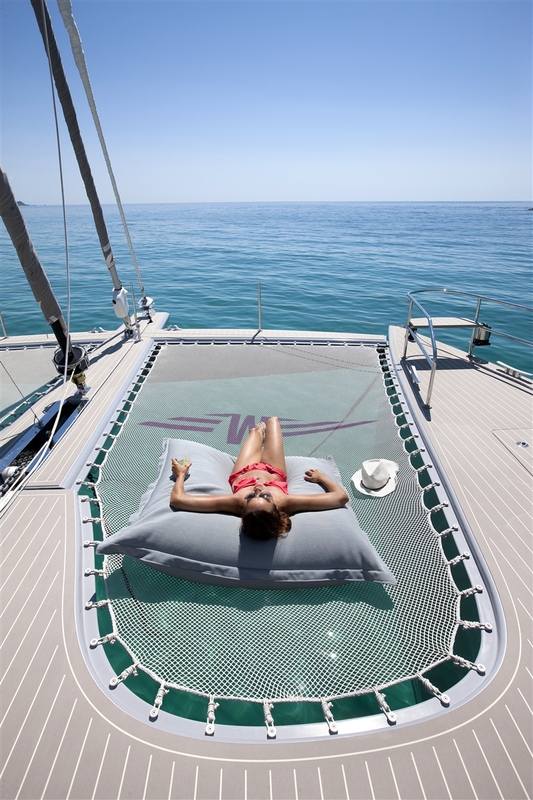 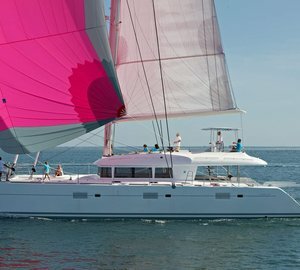 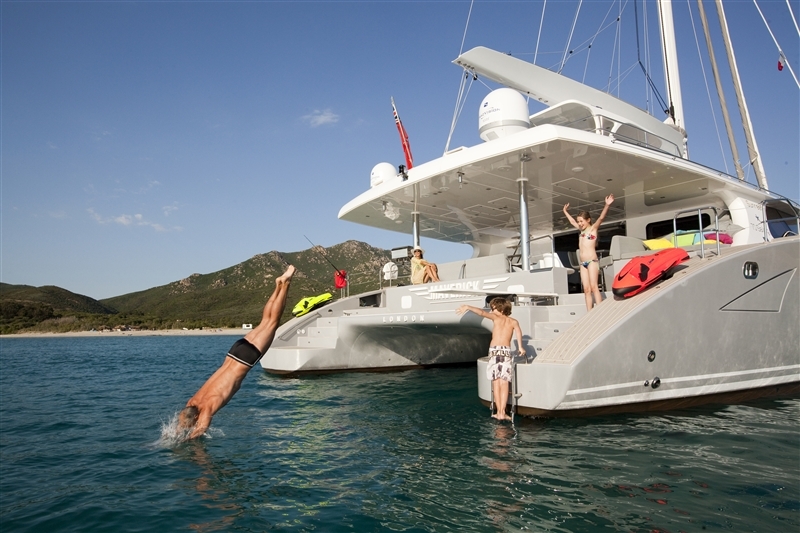 A charter on the sailing 21.3m (70ft) catamaran MAVERICK is a luxurious and memorable experience. 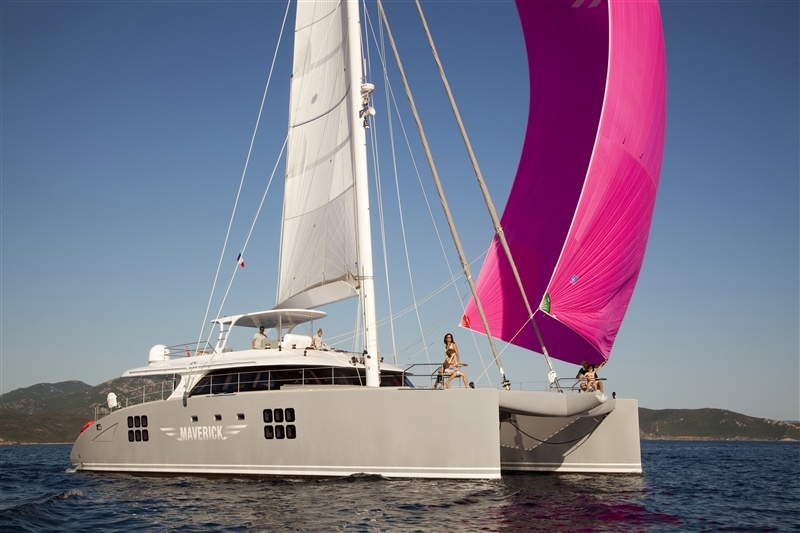 Catamaran MAVERICK was launched in 2013 and boasts an impressive modern hull design that speaks volumes about Sunreef’s naval architectures’ eye for perfection, performance and ultimate style. 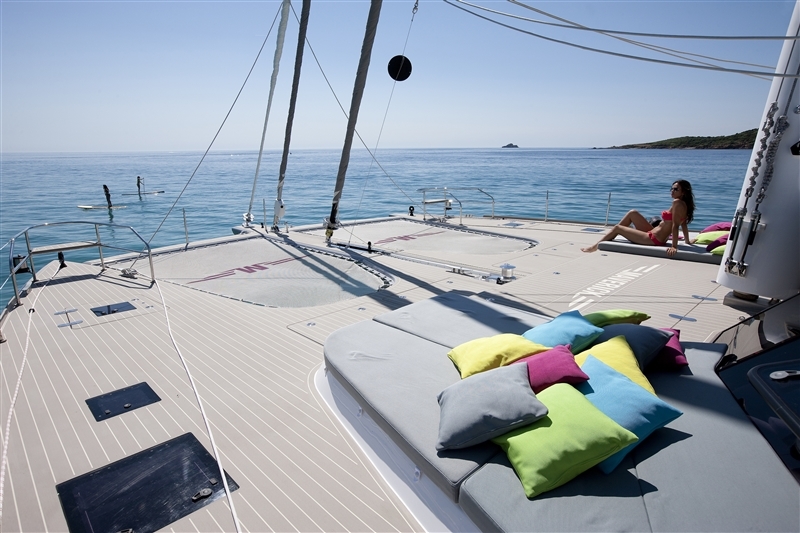 Sailing yacht MAVERICK is available for charter in the West Mediterranean, comfortably offering accommodation for up to 12 guests in 5 en-suite cabins. 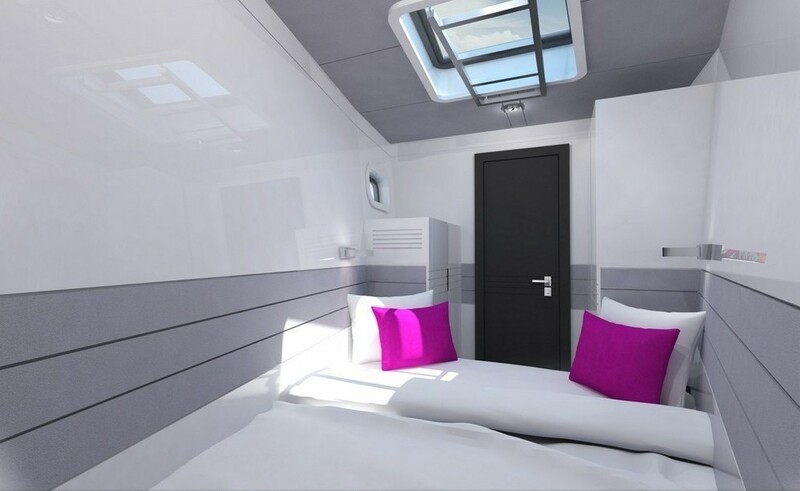 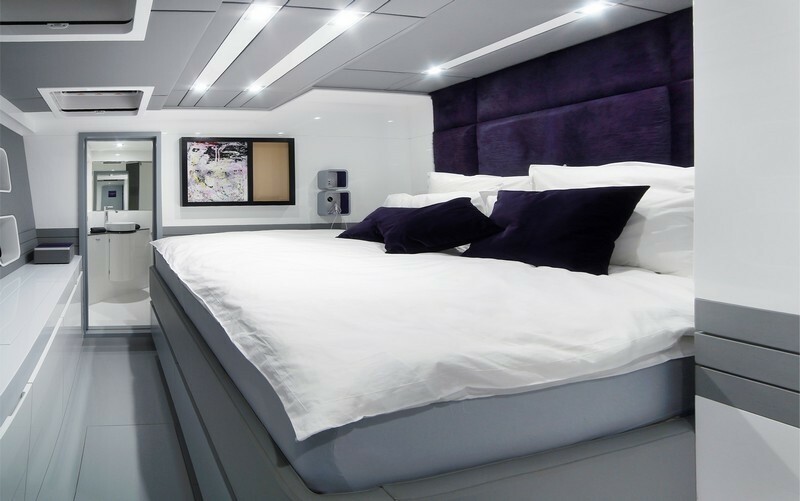 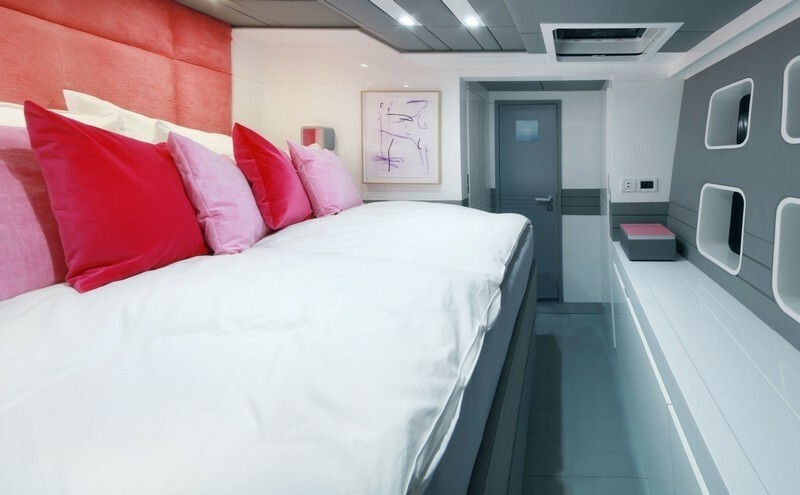 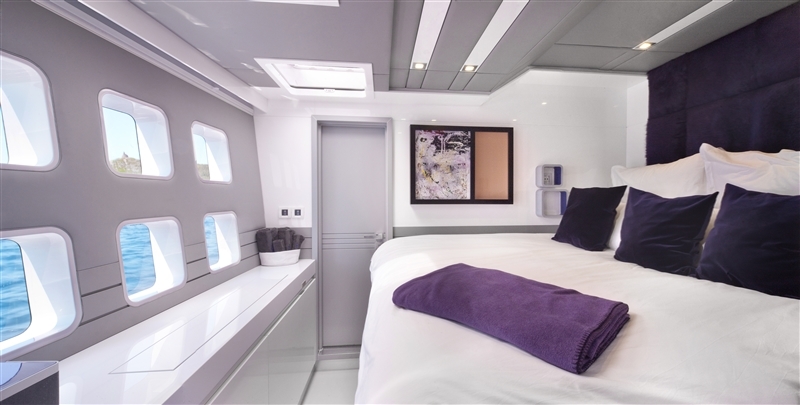 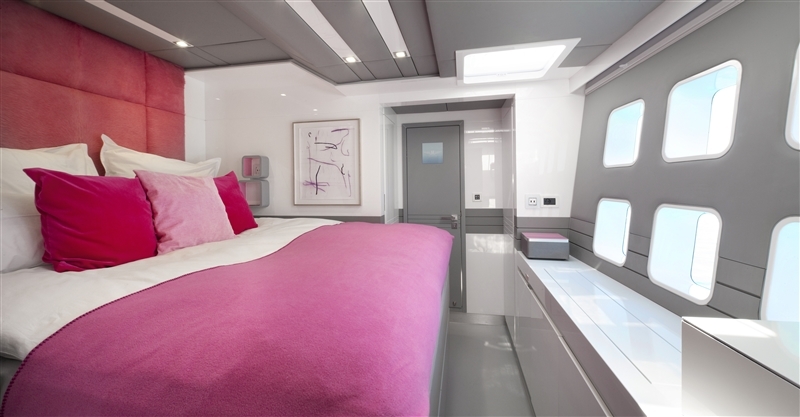 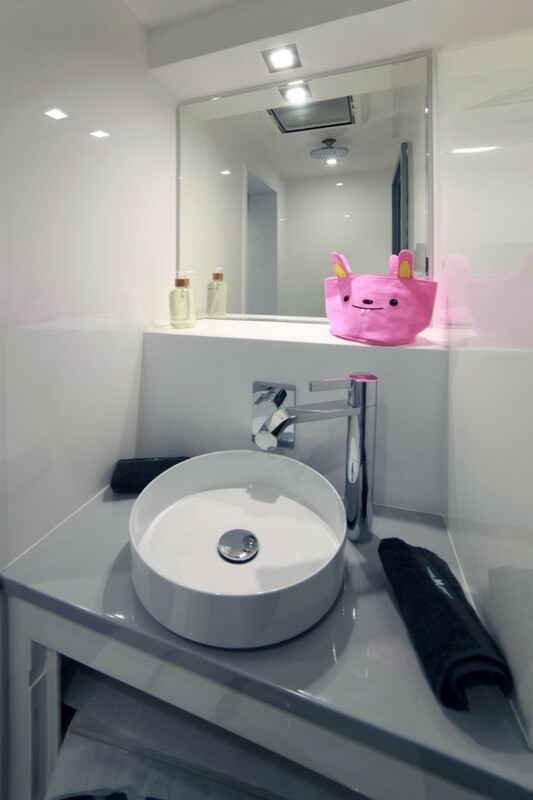 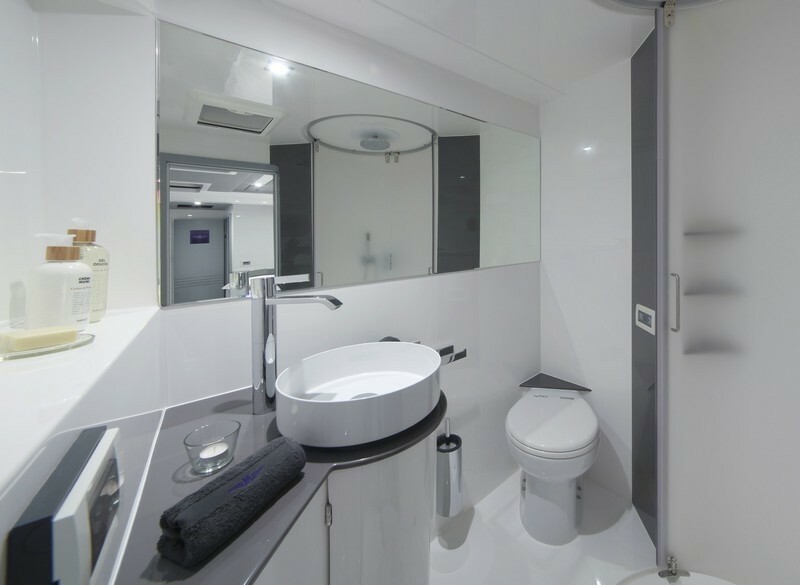 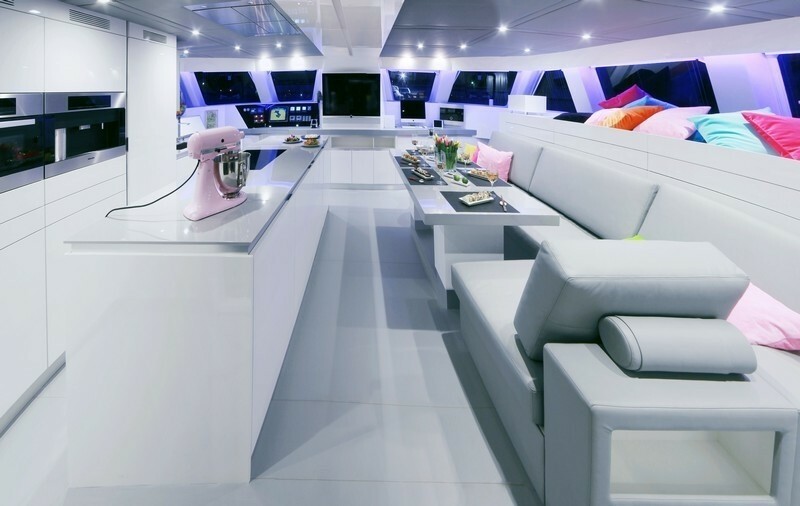 Sunreef 70 MAVERICK boasts a chic modern interior with fine detailing in cool hues of whites, soft greys and splashes of cerise. 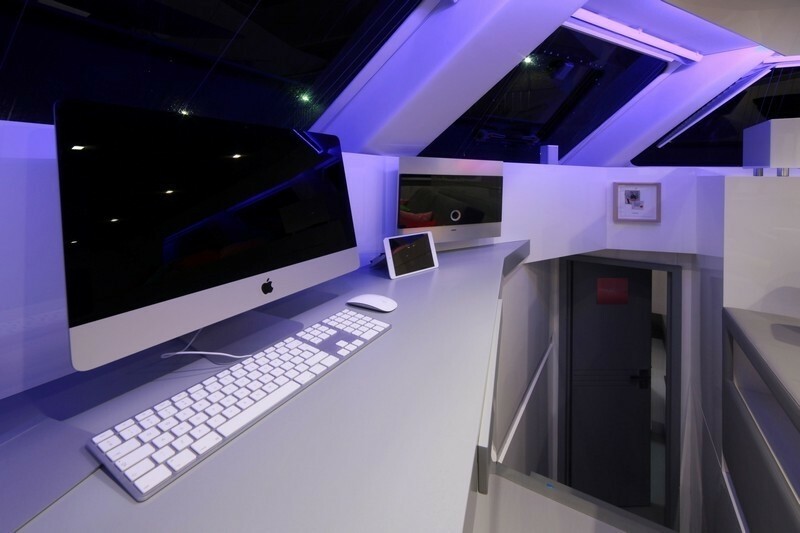 The salon has an open airy atmosphere, surrounding panoramic windows allow uncompromised views and a feel of endless space. 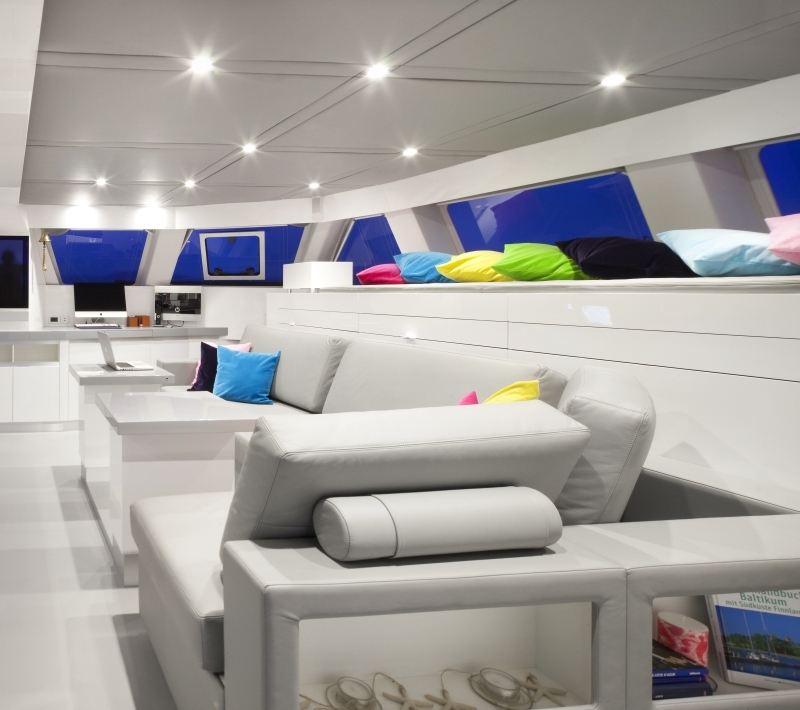 A combination of comfort and elegance are key throughout the S/Y MAVERICK’s decor, the salon features a plush sofa, formal dining table and galley with breakfast bar. 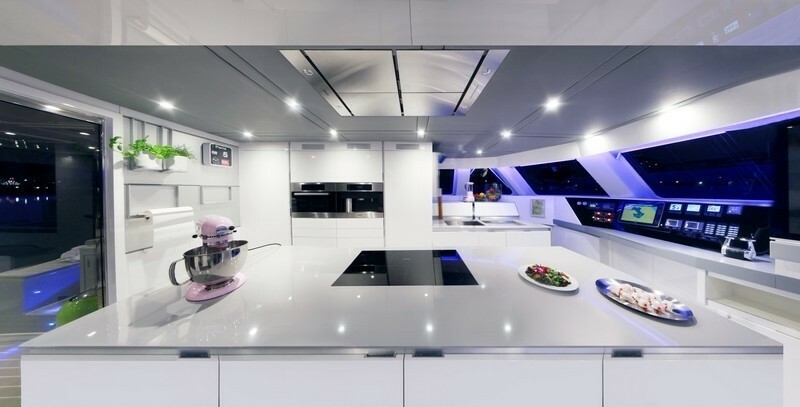 The yacht presents an incredible selection of indoor entertainment options, from hundreds to thousands of both audio and visual choices, enhanced by state of the art electronics. 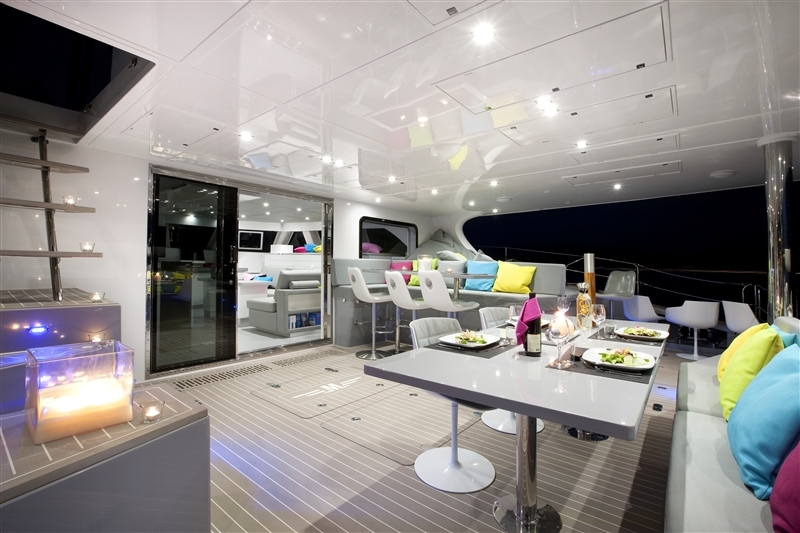 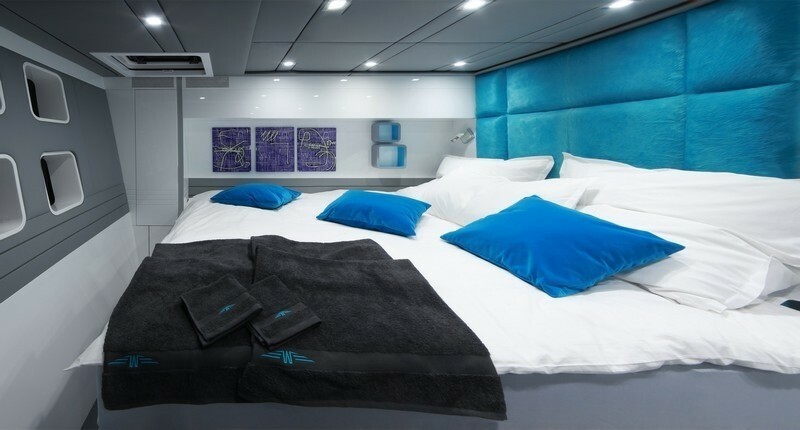 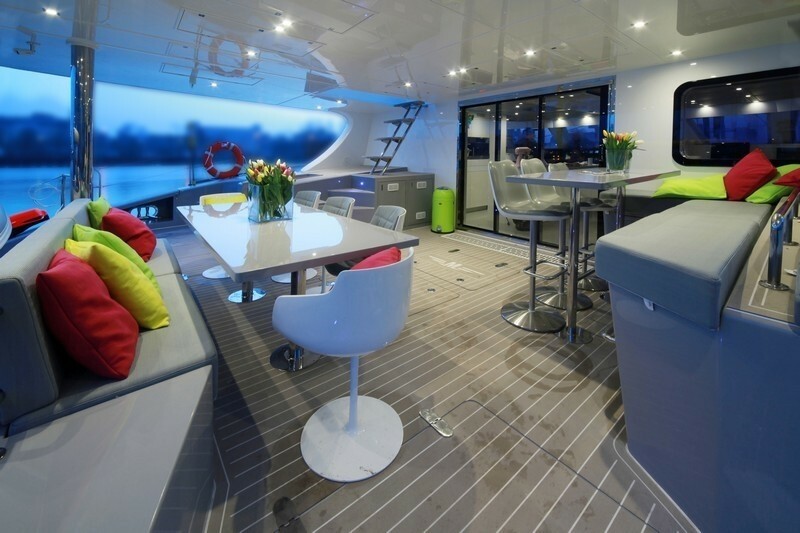 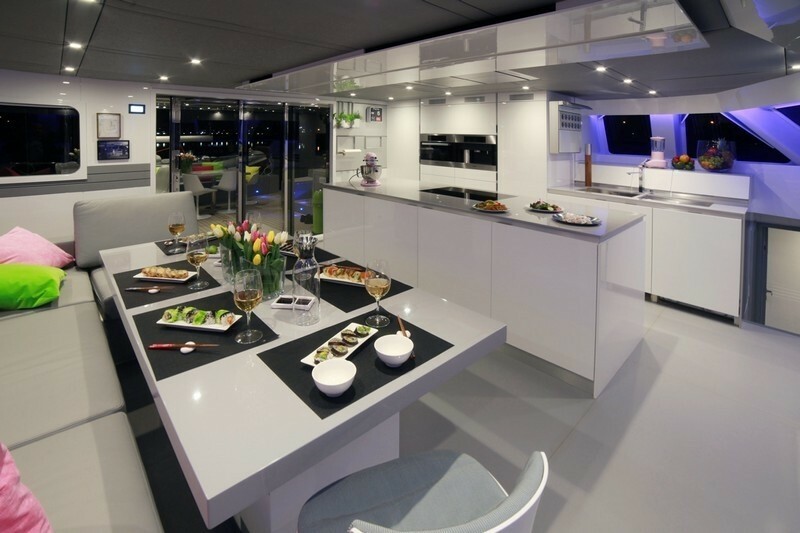 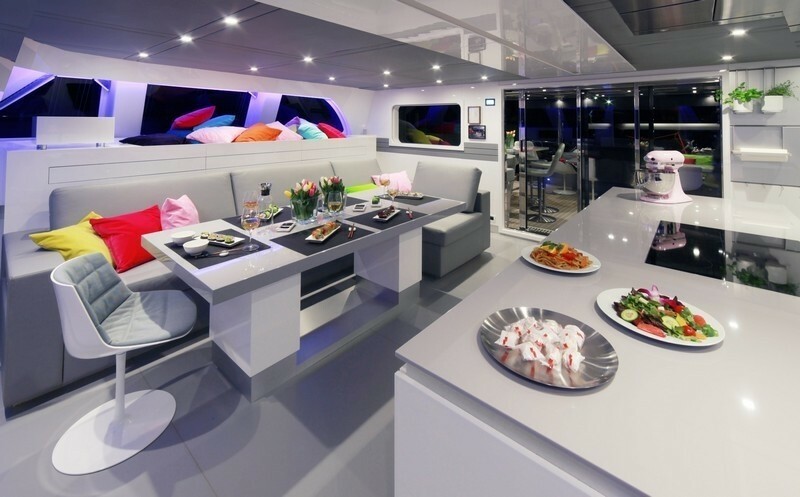 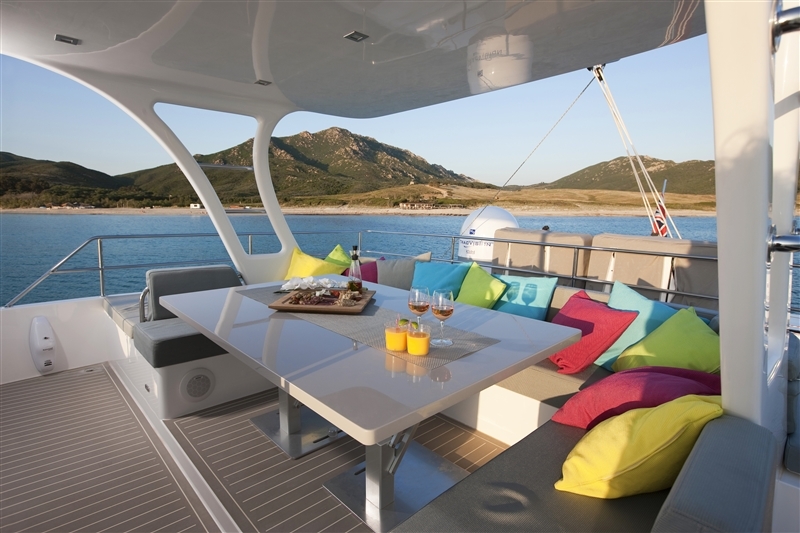 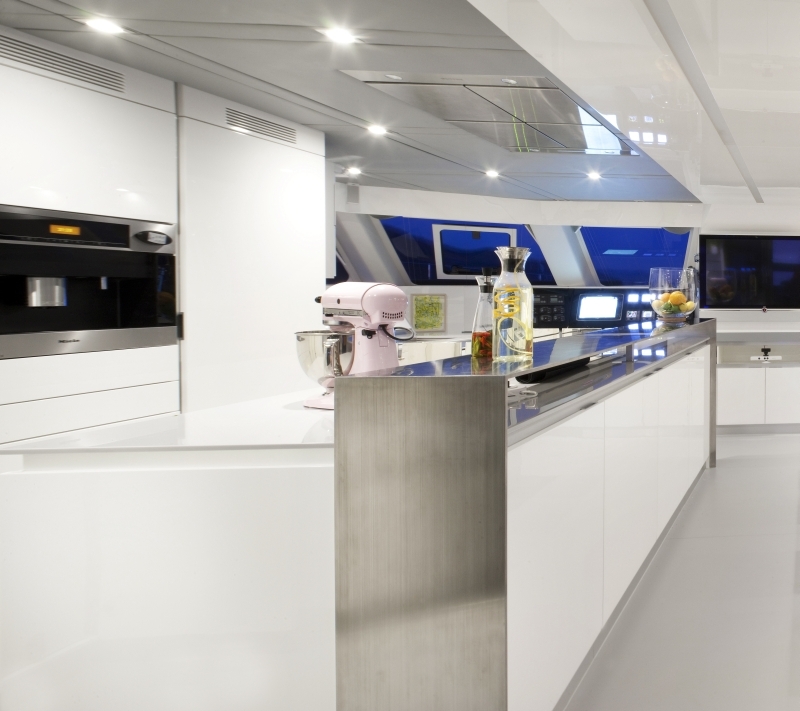 Charter yacht MAVERICK offers plenty of exterior living areas. 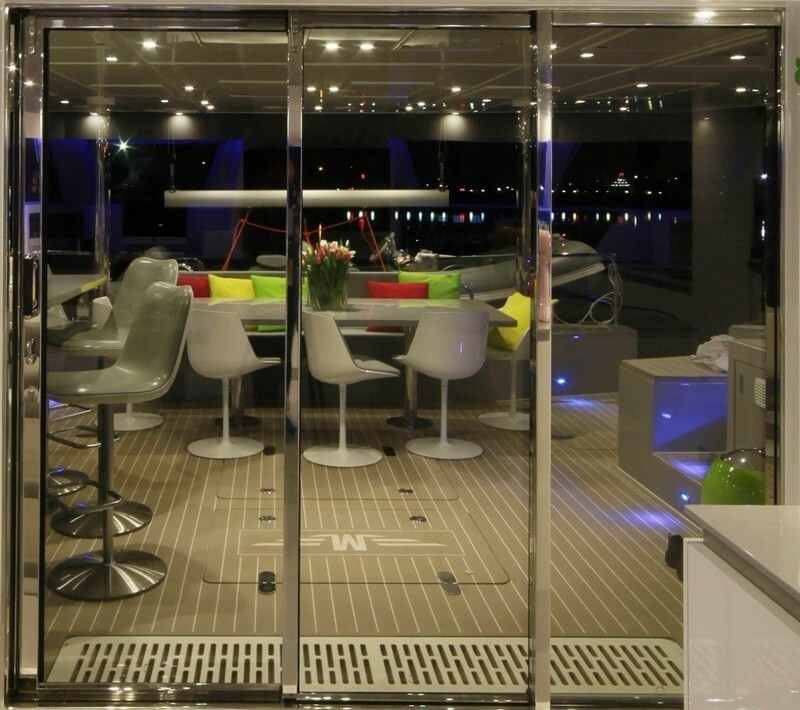 The large shaded aft deck is adjacent to the salon through sliding glass doors, giving the ability to completely open the space into one, ideal for any time of the day or night. 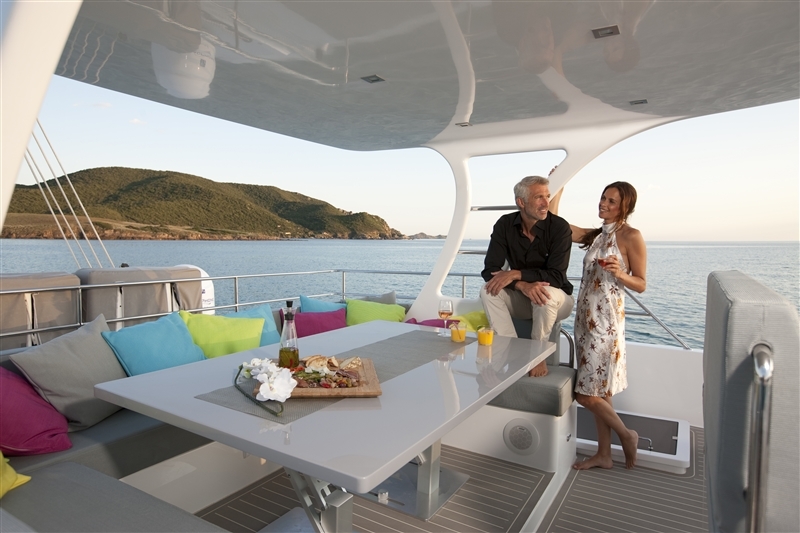 An alfresco dining option, ample seating, wide teak decks and 2 double sunpads ensure guests primary comfort. 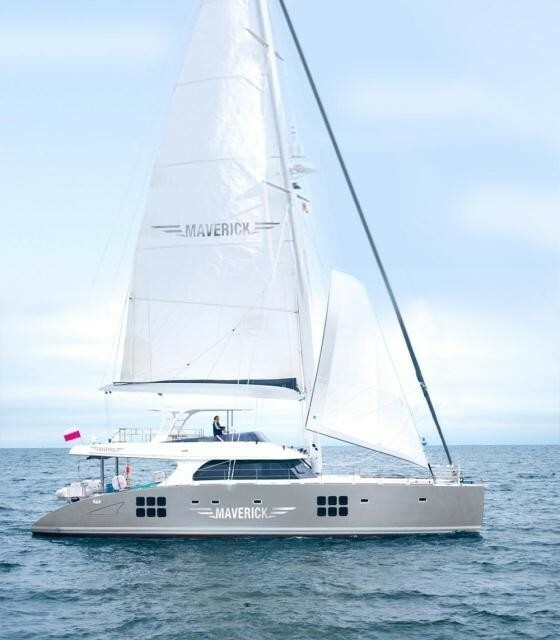 Sailing catamaran MAVERICK features a large extended swim platform and easy access wide steps to the water, the yacht offers an incredible amount of fabulous water toys, keeping any water enthusiast content and happy. 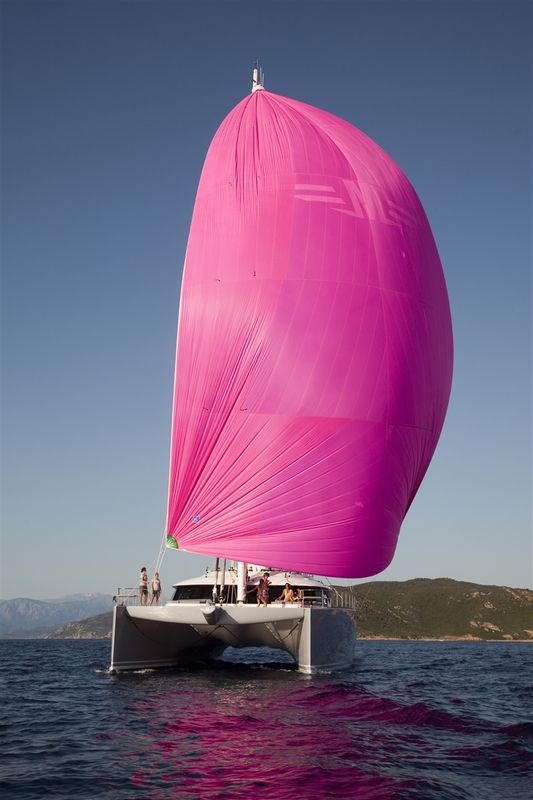 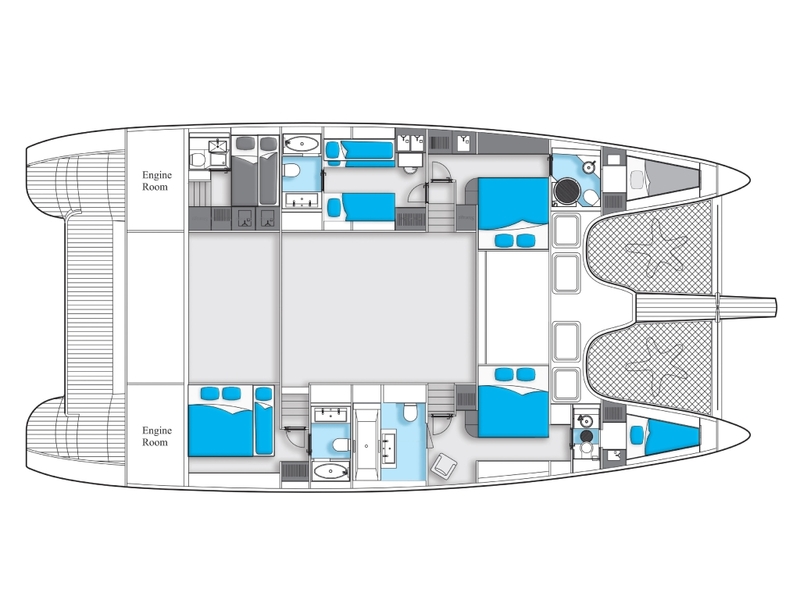 The catamaran MAVERICK boasts a generous beam of 10.3m (34ft), a design that ensures optimum stability and space. 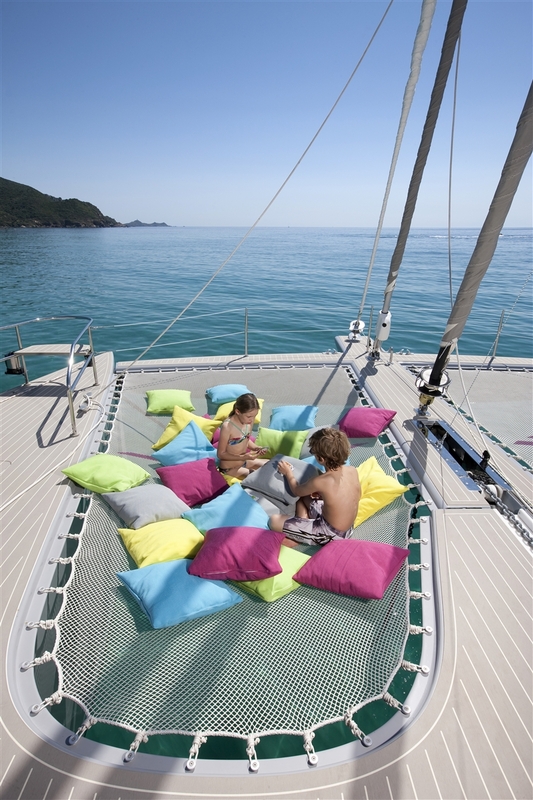 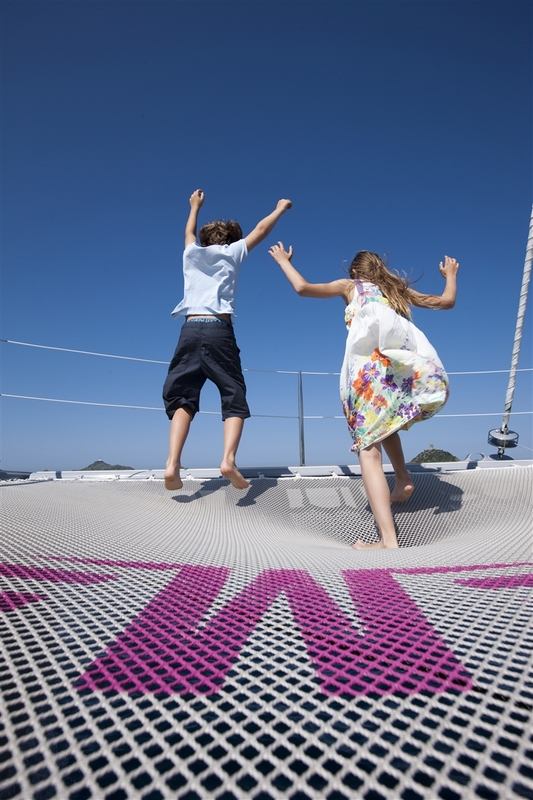 Forward aboard the S/Y MAVERICK, flush teak decks and 2 large safety trampolines are ideal to enjoy both under way and at anchor. 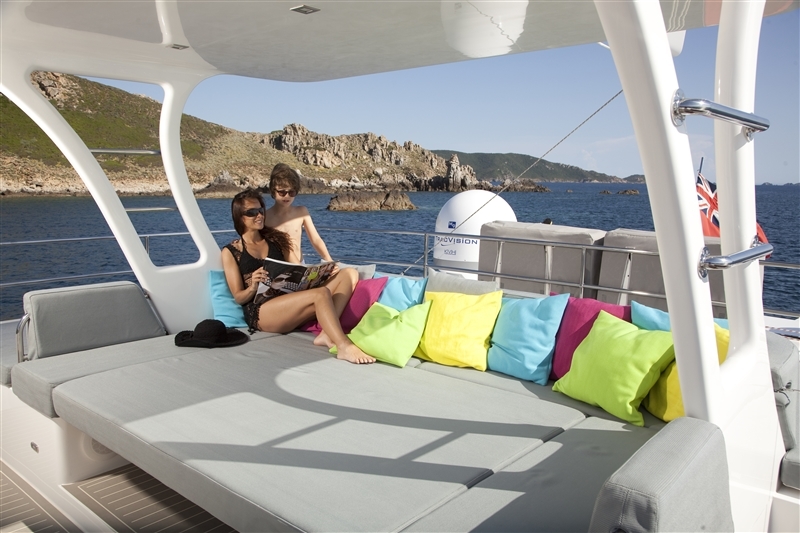 Sunreef 70 MAVERICK offers a full beam flybridge and helm station with optional shade, a further alfresco dining table and large sunpads, the table cleverly converts into another sunpad, creating a superior sunning area.